welcome to my website. On the following pages you can find informations about my various musical activities as well as some services I can offer to you in the categories music production, arrangement and video production. music director/composer/arranger for tv show Prix Pantheon 2019 on german channel WDR. 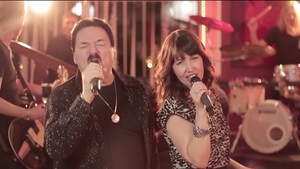 Recording our second song "I was blinded with legendary Toto singer Bobby Kimball plus Video shoot for our first song "You&I"
Bobby Kimball, the original leadsinger of the band Toto, recorded an epic rock duet with topvocalist and songwriter Silvia Vicinelli. 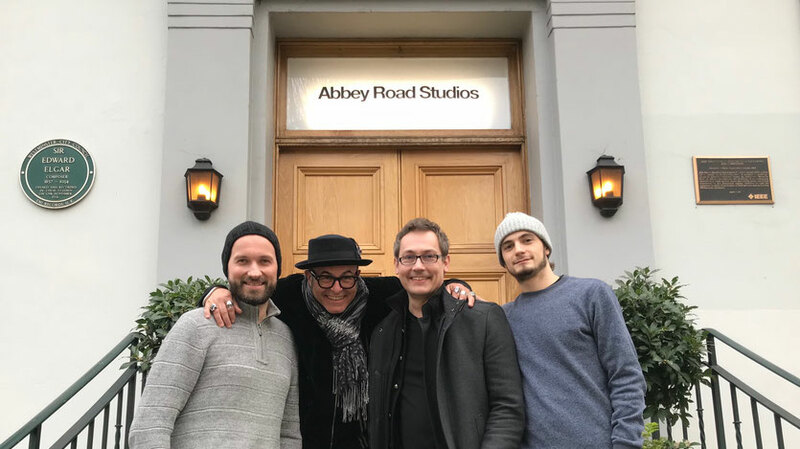 I will produce this and some other tracks for an upcoming symphonic rock crossover project with support of Philipp Maier the initiator, conducter and arranger of the original Rock meets Classic tours. Playing Keyboards for Jamie Lee (Winner Voice of Germany, ESC) at the Arminia Bielefeld Stadium with my new setup Kurzweil Forte SE/Roli Seaboard. Musikmesse 2016. Presenting the new Kurzweil FORTE SE at Soundservice Booth. Back from a fantastic concert trip on 5star plus cruise ship MS Europa from Singapur to Australia with italian singing sensation Silvia Vicinelli. It's been a fantastic Journey. 3 Weeks working for Porsche in Lissabon as music director and orchestrator. 7 Arrangements for Orchestra and Band done. I am very thrilled to perform Silvia Vicinelli's "Breathing" again. A new video is online. The incredible Silvia Vicinelli & Yasmina Hunzinger performing the all time classic "Tell Him". Produced, filmed and edited by me. 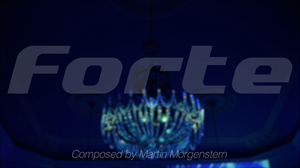 Bodyguard - the Musical is opening it's doors at ther Musical Dome Cologne. I am happy to be part of the orchestra. Here it is: My brand new product video for the KURZWEIL Artis SE in collaboration with Silvia Vicinelli and Sound Service GmbH which was successfully introduced on this year's Musikmesse Frankfurt! Preparing for some super exclusive shows on MS Europa with singing sensation Silvia Vicinelli. For more information about this please see our website of "Unexpected Songs"
The new KURZWEIL product video ist already in preproduction. It will showcase the new ARTIS SE which I will also demonstrate at the upcoming Musikmesse Frankfurt in April. Almost there! Silvia Vicinelli and I have the wonderful opportunity to perform our cinematic rock pop song "Breathing" live with a 120 piece orchestra plus big choir (70) and band in the Rothaus Arena in Freiburg. I'm so excited to hear my orchestration played live by a sensational orchestra like the ORSO. Date: 20th Dec. The brandbew product video for the top line stage piano FORTE from Kurzweil is ready and published on youtube. Thank you for more than 8850 likes on the Kurzweil Music Systems Facebook Page. Kurzweil community: You rock! Feel free to see the video here. For the concert classic meets rock/pop in Austria I contributed 8 arrangements for symphonic orchestra plus band. DVD and link coming soon. Back to the boards! I've had a great time at Queen's We Will Rock You. Munich you rock!! 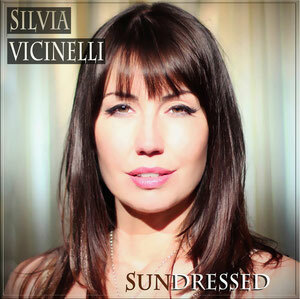 The Production of Silvia Vicinelli's Album "Sundressed" is finished and released on iTunes, Amazon, CDBaby. It was a long journey, but totaly worth it. If you want to know more about this outsanding artist feel free to visit her website. Song previews can be found here. 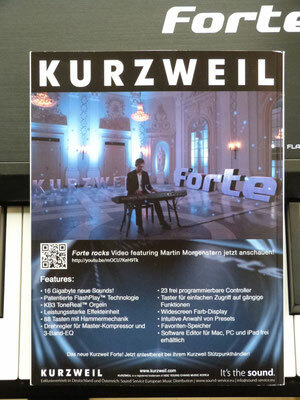 In Berlin I was presenting the brandnew FORTE Stage Piano at the Kurzweil Distributors meeting 2014. What a fantastic instrument! Although Kurzweil is not known too much here in Germany I always have the feeling to have some kind of secret weapon on stage. It definitely sounds different and suberb as well. If you wanna check it out, see Kurzweil's website or watch some of the videos from Frankfurt Messe. The Frankfurt Messe was a big success. I presented the prototype of the brandnew stage piano the Kurzweil Forte at the Sound Service booth. You can find some soundexamples under this link. Back from a fantastic musical trip on lovely MS Europa 2. Together with italian singing sensation Silvia Vicinelli I gave two exclusive concerts from our high class entertainment programm "Unexpected Songs". Playing music and seeing the beauty of central america was just another dream come true. Thank you Hapag-Lloyd! You can find some impressions from these shows here. This is the result of my latest collaboration with italian singing sensation and composer Silvia Vicinelli. If you like to be taken to an emotional journey by an incredibly pure and powerful voice with an extraordinary range from intimate ballads to powerful rock songs with catchy melodies and a cinematic sound, you'll love this album! I co-wrote, produced, arranged and mixed every song of this CD. Enjoy! Find out more on Silvia's website. 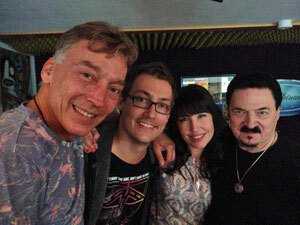 Video shoot Bobby Kimball/Silvia Vicinelli for our song "You&I"
In the Studio with legendary Toto frontsinger Bobby Kimball, Silvia Vicinelli and Philipp Maier. "Tell Him" performed by Silvia Vicinelli & Yasmina Hunzinger. Produced, filmed & edited by me. 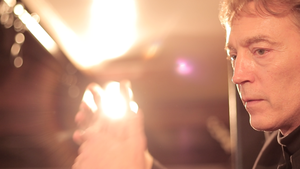 Just finished: A short teaser about Silvia Vicinelli's excellent work as vocal coach and voice trainer. 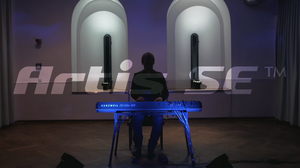 The new Kurzweil Artis SE Product video for Sound Service. Complete production by me and Silvia Vicinelli. The new Kurzweil Forte product video for Sound Service is online. Idea, concept, production, composition, performance by me.